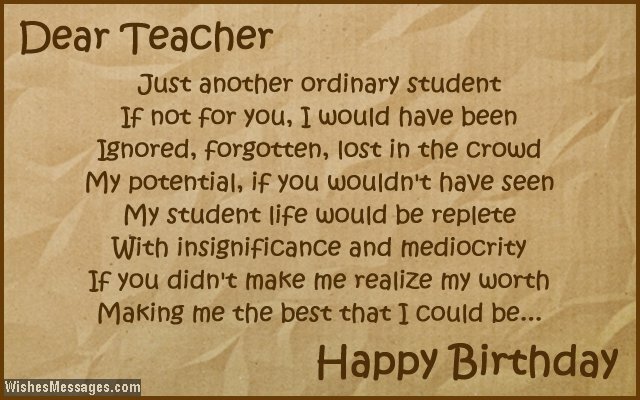 Birthday poems for teacher: Never forget that behind the facade of every annoying, irritating and demanding teacher is a person who is passionate about imparting knowledge. Teachers are everyday men and women who strive to give the youth the power of education. 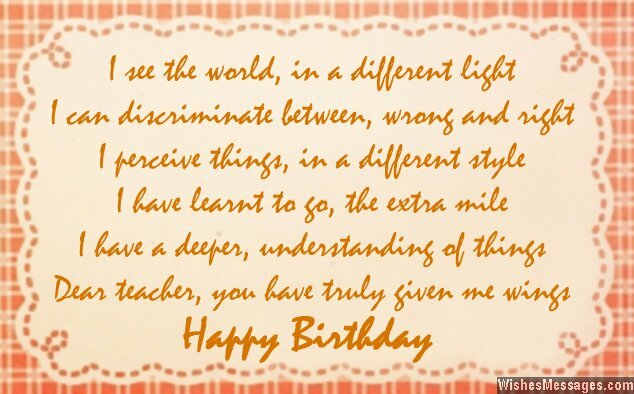 Your teacher’s birthday is a chance to acknowledge this undying commitment that he or she has towards making a life changing contribution in your lives. These short poems are a cute mix of rhymes that are perfect for a teacher’s birthday card – cute, sweet, funny and inspirational. 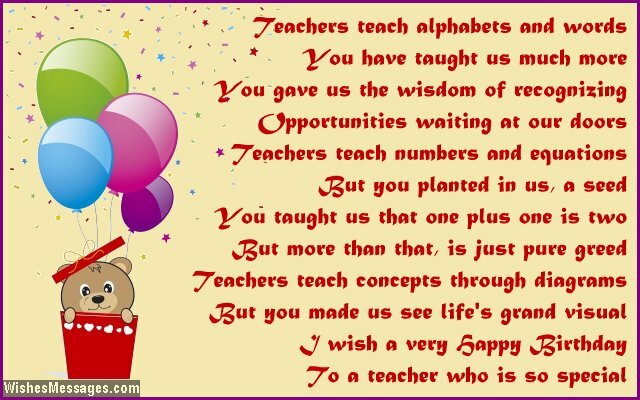 Read them and create your own greeting which can be your little way of saying thank you to your favorite teacher on his or her birthday.